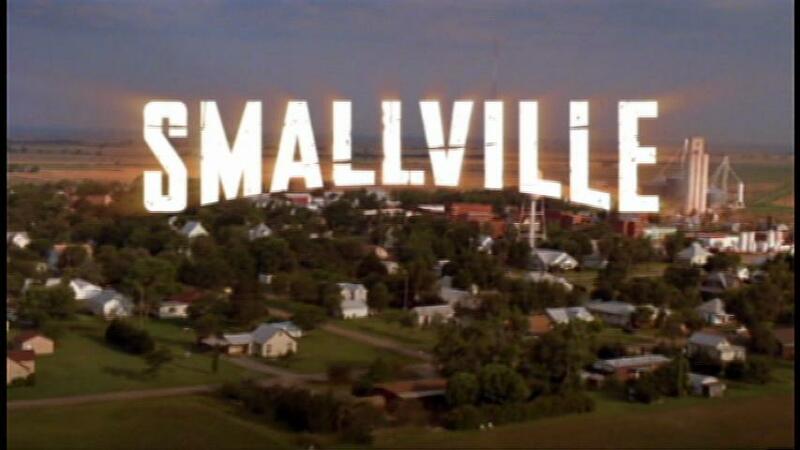 Smallville season four minicaps is just trying to not think on those kryptonian stones right now and instead, will be staying busy filling out college applications. Thanks to Jonathan getting his wallet stolen, Clark meets a runaway kid who can move as fast as him named Bart Allen. Clark and Bart bond, and unfortunately Bart puts a wedge into things when he steals an ancient parchment from Lex that Clark thinks has a secret kryptonian map. 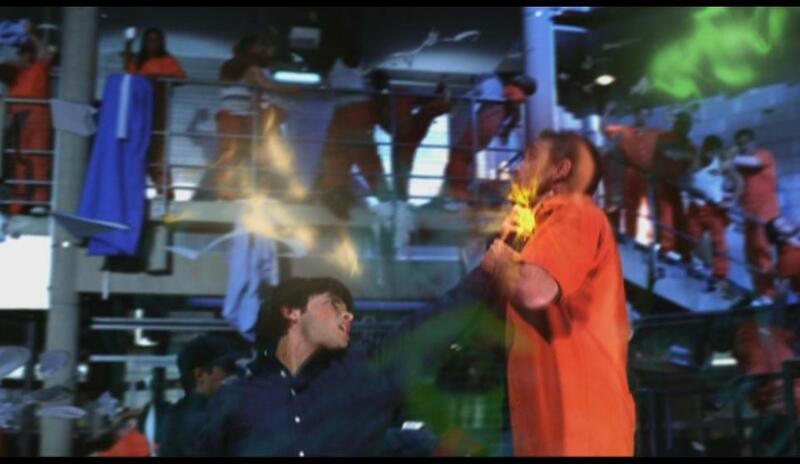 Then the impulsive runaway gets himself into some trouble regarding that parchment that only Clark can get him out of. It’s a good, fun episode that has some clever nods to DC Comics lore. In all fairness, there’s no way to look good or normal while running at super-speed. –Of course Lex lied about not knowing about the map hidden in the parchment to Clark. Are we really that surprised? –Almost forgot to mention, there was some tension over Martha running the Talon and Jonathan’s recovery, but that’s taken care of. Lana apparently helped out in that department. So, good for her. –Wally West, Jay Garrick, Barry Allen, all names of the men who were The Flash throughout comics. And the mention of a “league”? Intriguing. –I don’t want to nitpick, but Clark throwing that Hanison guy through that plastic roof into that trailer like that at least put him into traction for the next year, at best. –Oh, Lana finally tells Jason about her back tattoo and the connection to the caves, and like any good boyfriend, he offers to help out. No need to worry then, I guess, but then again, why am I worrying? And this is why you don’t answer alien buzzes that lead you to ancient artifacts. Imprisoned Lionel has one, and when he touches Clark, they switch bodies. And Clark doesn’t have too much time to get things back to normal, since Lionel’s body is dying. There’s also Lionel pretending to be Clark, who is discovering the powers he has, while trying to reclaim his fortune and basically teeing off anyone who knows Clark Kent. A favorite episode of mine from the season, which once again leaves Clark persona non grata to his friends thanks to Lionel’s meddling. But don’t worry, that’ll be fixed by next episode. Seriously. No one has long term memory on this show. (In best Mortal Kombat announcer mode) FINISH HIM! –You know what, Clark? Tell the school about the whole Lana/Jason thing. I just want you to knock Lana down a notch. What, she’s got it coming! –In other bad news, Clark’s time in Lionel’s body has cured the elder Luthor of his failing liver. F#@K.
–Hey, did I mention Lionel’s cellmate got let out to get scooped up by miss Crosby, along with that missing piece of whatever it is that caused this mess in the first place? Well, now I did. –Lana has dug up some more dirt on this alien tramp stamp thing, and found a weird connection between her and a countess who was burned at the stake. Yay, I guess. Clark’s time as a football hero gets threatened thanks to a bookie who can turn the odds in his favor. This bookie, Mikail Mik-sil…Mxyz-tpm…um, what is that name again? Anyway, Clark gets put into a position where he has to throw the championship game to save Chloe’s life. And Jason gets fired from the school thanks to Lex, and guess who gets the blame from Lana for it? It rhymes with “bark”. –Seriously, Lana and Chloe just have short-term memory loss. They forget about that whole Lionel possessing Clark thing from the previous episode so quickly. –Lex shows us a hidden level to the Luthorcorp tower where “special” people are held. Level 33.1. We’ll be visiting there again soon enough. –Made the winning touchdown, freed Chloe, and sent Mikail flying into a wall, all in a second? That’s MVP material there, Mr. Kent. That long dead and extra crispy countess ancestor that Lana has been looking into ends up possessing miss Lang and uses Chloe and Lois (welcome back, Lois!) to hold the spirits of her girlfriends. So besides our possessed heroines dressing in not-really trashy Goth wear, they go after some kryptonian stones for, um, well I’m sure its for a good reason. Also we find out Clark and magic don’t mix. Oh, and its Chloe’s birthday. Too bad she won’t remember the birthday bash at the Kent farm. We all know that if the CW decides to bring The Witches of Eastwick to TV, this is exactly what we’ll be getting, right? Just putting it out there. –OK, I did get a laugh over Lana pulling that strand of Lois’s hair and then immediately cutting to possessed Lana’s list of ingredients, specifically “Hair of two virgins”. Lois doesn’t fit the bill, apparently. But Clark does. –Really, when you’re lead into the forest to drink some bizarre stuff in a wine glass, that’s when the alarm for “run” should sound. At least Lois points out how weird this is. –Possessed Chloe really won’t let that whole “we burned alive for you, countess” thing go easily, will she? –Thanks Lex for letting Lana know about that whole “I got Jason fired so Clark could get back with you” deal. Appreciated. And this comes after being forced to play that piano until his fingers bled. NEXT TIME: Clark helps Lex with a murder charge in “Bound”, a toxin is causing Smallville citizens to see their worst fears in “Scare”, teleporter/obsessive Alicia is back for Clark in “Unsafe”, and Chloe discovers the truth behind a big secret in “Pariah”. DC Recap Round-Up 2, Week 18: Legends of Tomorrow-Gate!